Since the 1980s, documentary photography and film have been the subject of intense discussion. Their credibility and objectivity have called into question in all kinds of ways. The use of digital photography and video equipment among professionals and amateurs has increased awareness of how easy it is to manipulate documentary images. The confusion is increased further by the development of 'in-between' genres, such as the docudrama and reality TV. The documentary image has also established a place in the world of art. It has found its way into museums and is exhibited there as art. 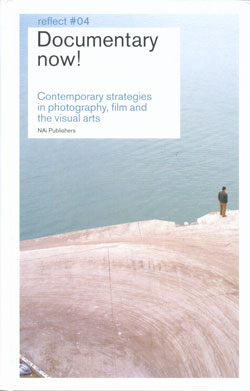 Since then, the use and effect of the documentary image have been analysed, questioned and adapted by photographers, filmmakers and video artists for personal and socially engaged purposes. Documentary Now! takes stock of the situation. What is the meaning of the documentary in the year 2005? What do we actually understand by 'documentary' these days? Which tendencies have emerged within documentary forms? Is it possible or desirable to define the term? And what is the social function of the documentary?Prompted by these questions, renowned experts such as Olivier Lugon, Frits Gierstberg and Tom Holert share their views on the developments in the field of the documentary image. The documentary image has also established a place in the world of art. It has found its way into museums and is exhibited there as art. 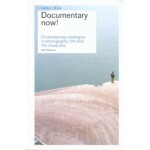 Since then, the use and effect of the documentary image have been analysed, questioned and adapted by photographers, filmmakers and video artists for personal and socially engaged purposes.Documentary Now! takes stock of the situation. What is the meaning of the documentary in the year 2005? What do we actually understand by 'documentary' these days? Which tendencies have emerged within documentary forms? Is it possible or desirable to define the term? And what is the social function of the documentary?Prompted by these questions, renowned experts such as Olivier Lugon, Frits Gierstberg and Tom Holert share their views on the developments in the field of the documentary image. In addition, ten photographers and artists, including Walid Raad, Johan Grimonprez, Julika Rudelius and Allan Sekula, describe their personal approaches to the use of documentary film and photography.Taking an inventory of the current state of affairs, Documentary Now! blasts new life into the debate about documentary film and photography. Contributions by artists:Dennis Adams, Marjoleine Boonstra, Theo Baart, Ad van Denderen, Johan Grimonprez, Walid Raad, Julika Rudelius, Hans Scholten, Roy Villevoye & Jan Dietvorst.